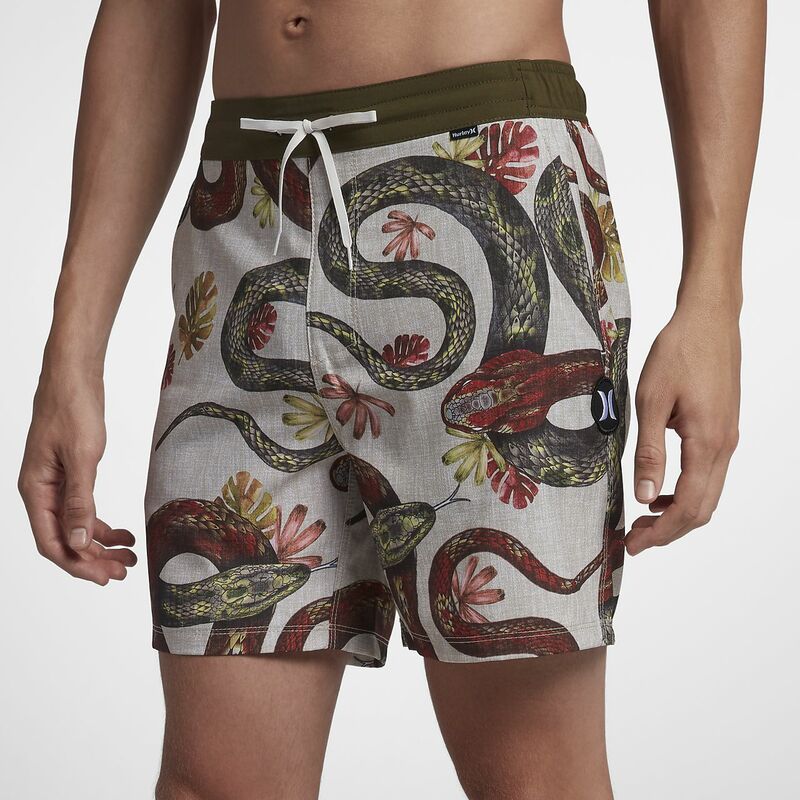 The Hurley Tread Lightly Volley Men's 17" Board Shorts feature a Balinese-inspired print and a shorter style that helps you move freely in the water. CLASSIC LOOK, MADE TO MOVE. The Hurley Tread Lightly Volley Men&apos;s 17" Board Shorts feature a Balinese-inspired print and a shorter style that helps you move freely in the water. Elastic waistband with drawcord customizes the fit. Have your say. Be the first to review the Hurley Tread Lightly Volley .